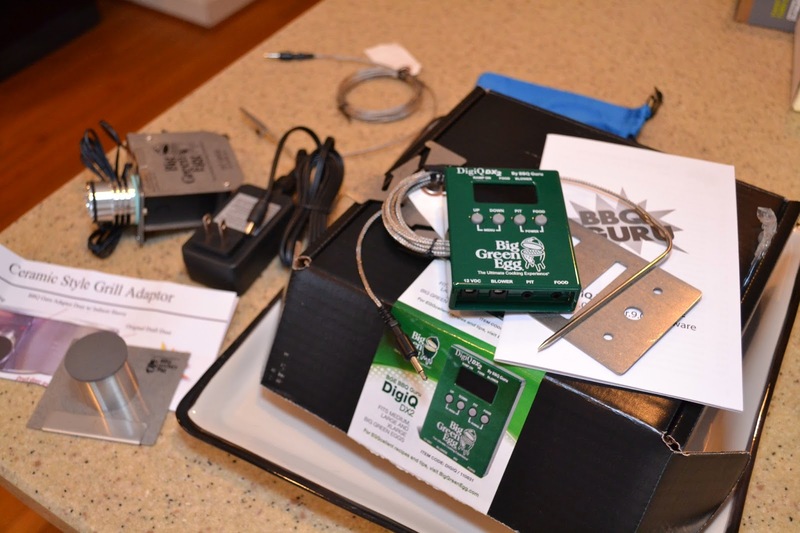 Santa came to our house and dropped off a BGE BBQ Guru DigiQ DX2. That is a mouthful. I am going to open it up and cook with it for the first time tonight so I thought I would document the process so you can decide if you might like one. 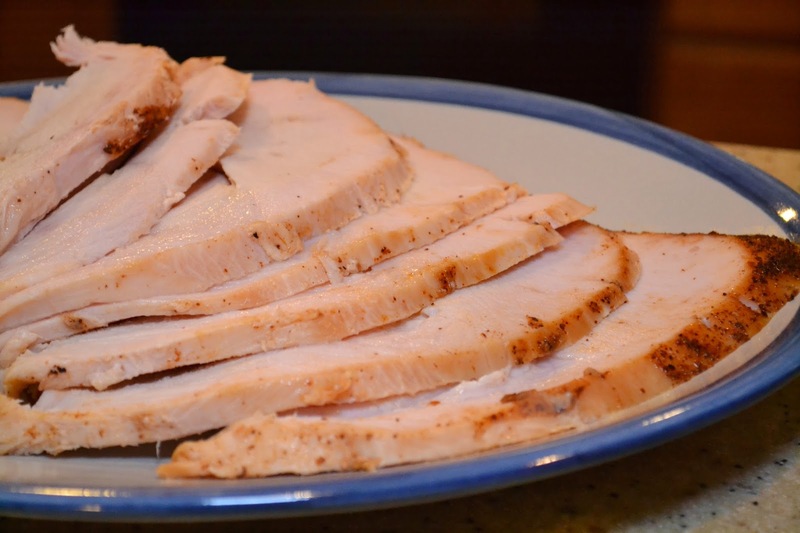 This will be our very first product review and we will cook a turkey breast with the new system to test it out. 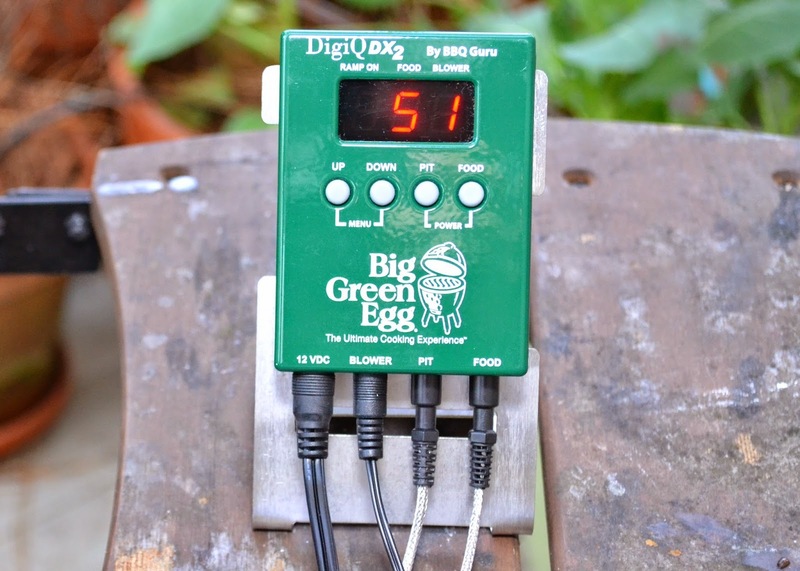 For those of you that don't know, the DigiQ is a thermostat for your Big Green Egg. You can set the temperature you would like the Egg to maintain and it uses a connected blower to control the amount of air into the egg to keep the temperature exactly as you set it. I have longed for this device in the early morning hours when I was forced to get up at zero dark thirty and go outside to adjust the BGE on one of my all night brisket cooks. As you may have read, I usually end up using my morning in a recovery mode because the Egg temperature dropped too low. I visited The BBQ Guru website. Excellent info. I also lusted after it in the BGE headquarters store in the suburbs of Atlanta. 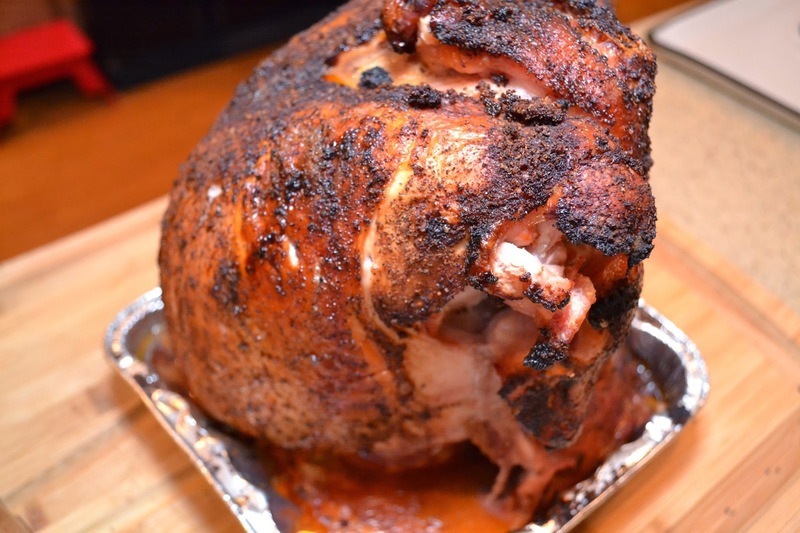 1 - Bone-in turkey. 10 pounds. We purchased ours from Kroger. 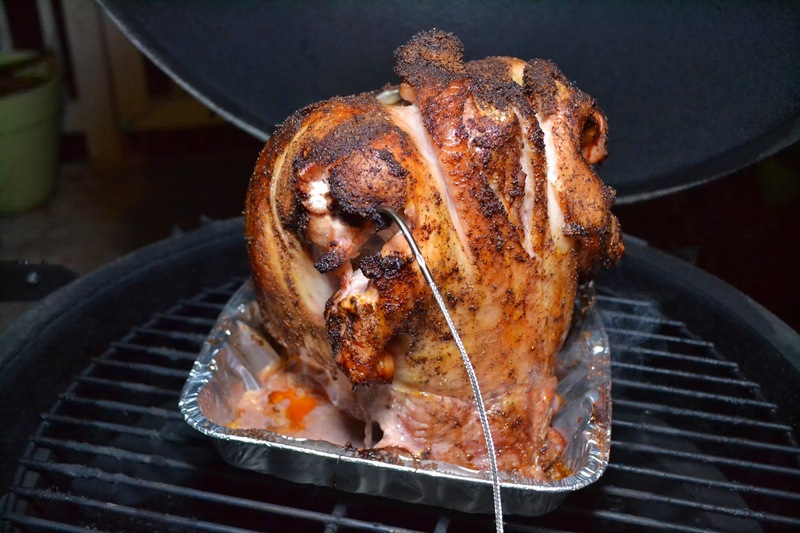 We will simply heat the egg to EXACTLY 350 and rub the turkey then cook beer can style. 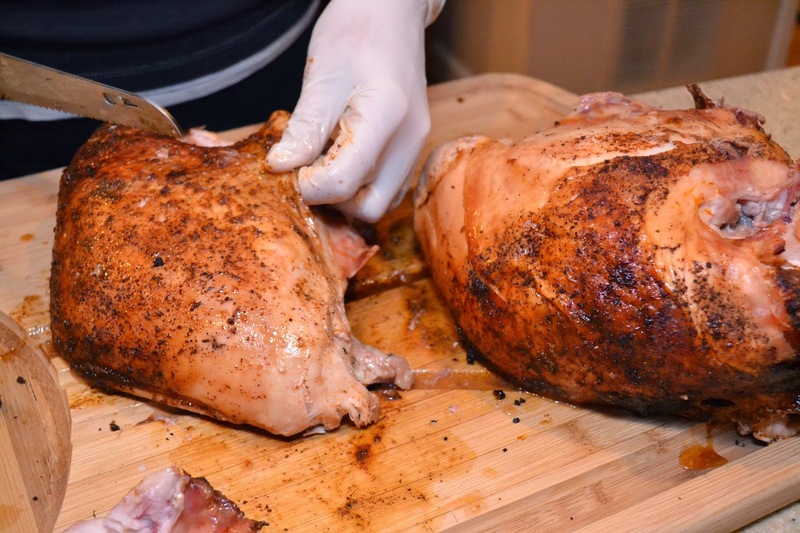 We will place on the grill for around 3 hours or until the breasts reach 163-165. Don't light your Egg and let it get hot before activating the DigiQ. 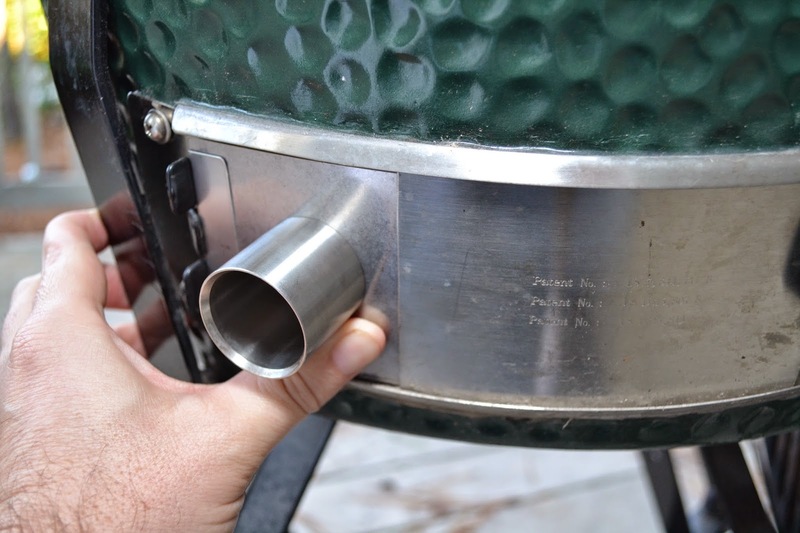 Rather light the Egg and immediately turn on the DigiQ and let it control raising the BGE temp to the proper setting. 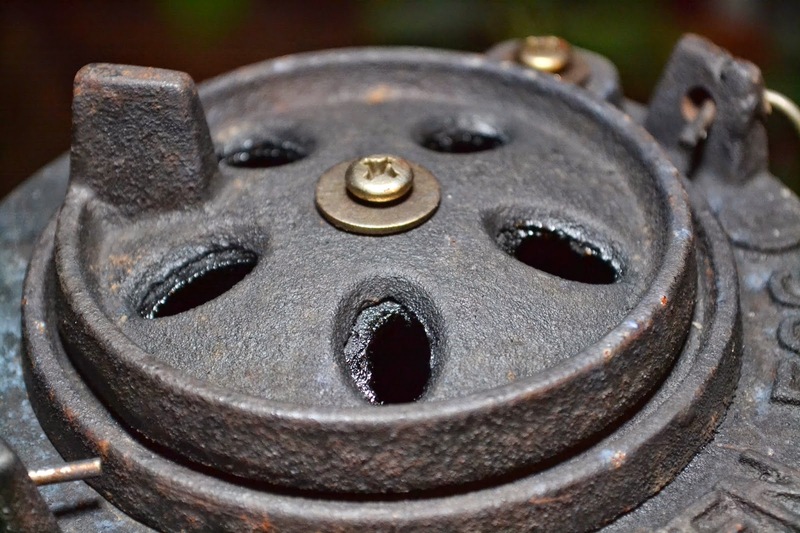 Close the damper on the Pit Viper (the blower) to about half open and close down the top daisy wheel to about half open. 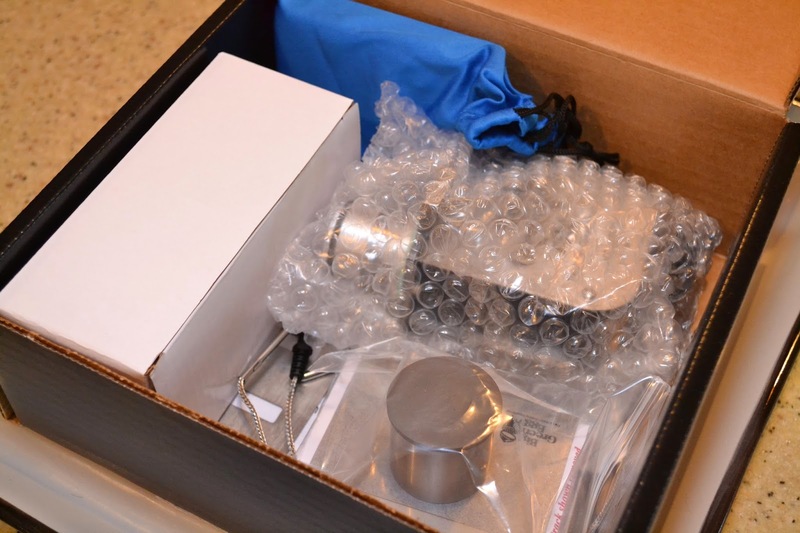 as you can see this kit came with the Pit Viper (blower), the DigiQ, a food probe, a pit temp probe, a BGE adapter, a DigiQ stand, and assorted power cords. 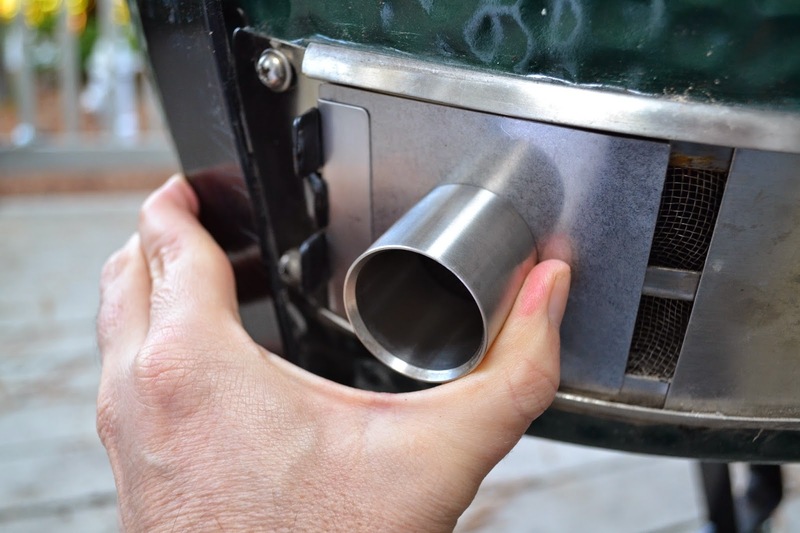 The BGE Pit Viper adapter fits into the BGE air intake perfectly and requires no tools. 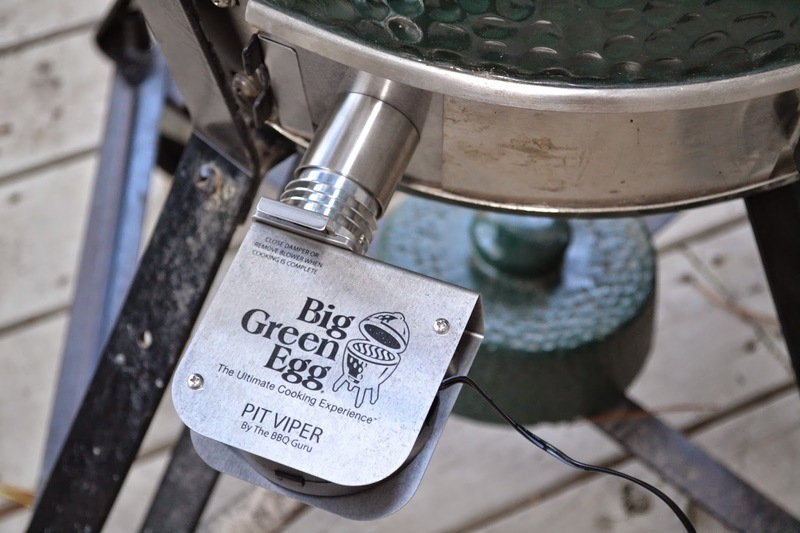 The DigiQ with the blower connected, the power cord plugged in and both the pit temp probe and food probe connected. A word on the probes. They are high quality! way better than the wireless thermometer that I have struggled with in the past. That said, I'll still use the wireless so I can remotely watch the food temp. Too bad the DigiQ doesn't have a wireless feature. So after connected everything, attaching the Pit Viper and setting the Pit temp to 350, I adjusted the Pit Viper damper to half open (thanks Lee) and let the daisy wheel opened up to see what would happen. I lit one of the BGE starter bricks and closed the lid. The Pit Viper was already blowing air, I could hear it. 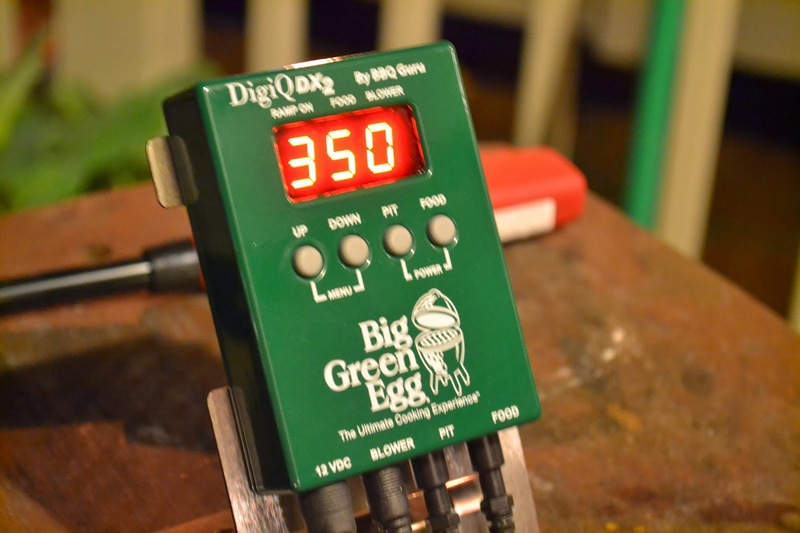 Over about the next 20 minutes the DigiQ raised the temperature of the Egg from 51 to 350 degrees and held it there. Dead on 350 degrees. 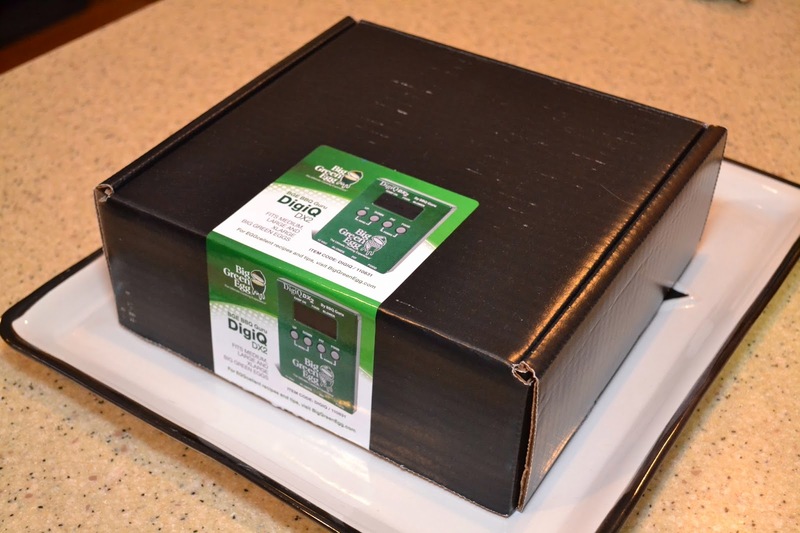 As the turkey reached 160 degrees I would open the lid and check the temp with my CDN instant read and when I closed the lid, the DigiQ would quickly recover the temperature. We cooked the turkey beer can style in about 3 hours. At 160 degrees in the breast, we removed it and let it rest. 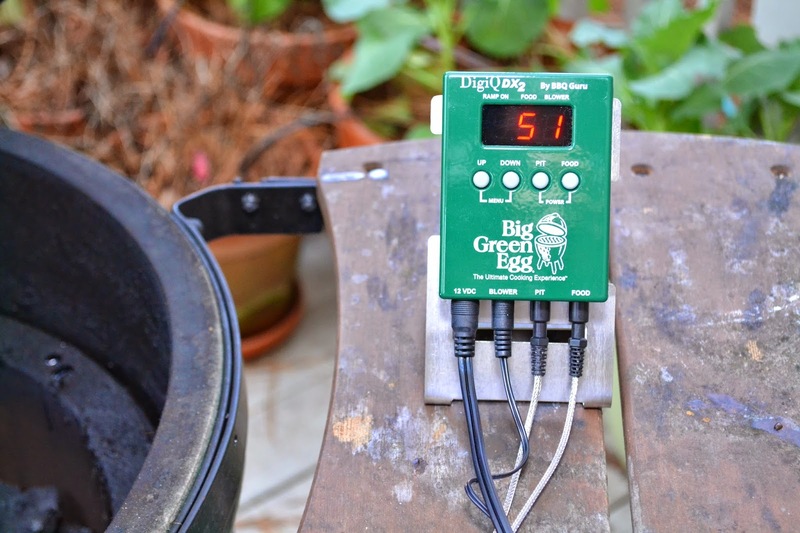 It is rock solid, the DigiQ heated up the BGE quickly and held it at exactly 350 degrees (not one degree off). I think this new finely tuned temperature control will open up a new world of things that we can cook on the Egg. Really exciting to think about what is next. We just touched on what the DigiQ will do. In the future, we will be trying some of the more advanced features. 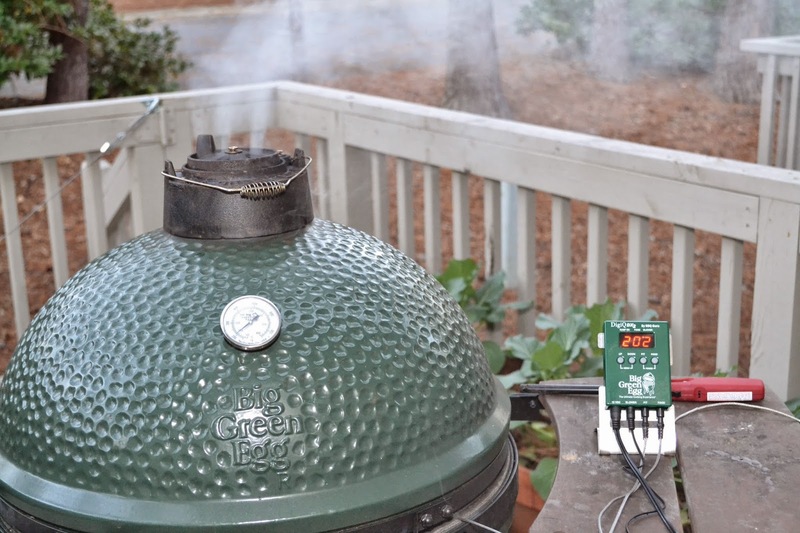 Including a setting that will automatically bring the BGE temperature down to meet the meat temperature when you are doing a slow and low cook to make sure you don't overcook your meat.